You might be tempted to think that in order to start or run a successful business it will take a lot of skills or a lot of cash. This is not necessarily true. In fact, there are tons of businesses that can be started easily and inexpensively. To be sure, most of these ideas will not make you into the next Bill Gates, but you never know how far a great idea can take you. These business ideas are generally focused around providing services since they require a lot less capital and time to get going. With the unemployment rate so awful these days, you never really know who might be out of work, or just staying with a job they hate until something better comes along. The idea behind offering networking services and events is that you host a number of after-work mixers at a local hotel or event center. Have everyone leave their business card so that you can build a mailing list. Ideally, you can even charge and admission fee to these events, especially for employers who are looking to find qualified candidates. After holding these for a while, you can even start trying to connect certain people on your list with specific employers. This can ultimately lead to a type of networking or employment/placement agency, if you so desire. Many people need to find out things but don’t really have the time to go about doing the research or even fact-checking. That is where you come in, offering to trade your valuable time doing the important searching and research for your clients. Clients could be anyone from medium to large businesses without research staff to the independent writer or work at home mom strapped for time. As long as you have a fast computer and high speed internet, this could be a great business idea. Charge either by the project or by the hour. If you are good with numbers and have a bit of specialized training, than perhaps a bookkeeping business might be up your alley, says Entrepreneur Magazine. Depending on how deep your skills go you might even be able to offer actual accounting services and/or tax preparation, for additional fees. The interesting thing about these areas is that the technical knowledge required is really not that overwhelming, so a short course or two would probably give you all the training needed. Plus, with the wide availability of commercial tax preparation software today, it is really just as simple as making sure you enter in the correct items and numbers…and let the software do all the formatting, calculating, and printing. The easiest business to start is one that will be uniquely tailored to your own personal skills and interests. Perhaps you have always enjoyed babysitting and did this back when you were a teenager. This could be a great business to start, according to the Simple Dollar site. You wouldn’t even need to leave your regular job, at least until things start keeping you busy all the time. Another easy business startup idea is tutoring. There are more than 76 million children going to school in this country, so it’s a safe bet that at least some of them are struggling with one or more subjects. If you have a calm and collected personality, you could possibly make a great tutor. You can even pick which subjects you would like to tutor, making this business idea very highly customized. One of the nice things about a tutoring business is that it can really grow as big as you want. You could hire teachers as part-time tutors to work in the evenings and on weekends (which is when most of the kids would be available as well). Then you would simply go about marketing and oversee the administration of things as your teachers actually end up doing the tutoring. If you are a good cook and have some extra time on your hands, then a catering business could be a perfect startup idea for you. Keep things home-based in the beginning and start out by marketing your tasty wares to friends, family members and neighbors. If you are good, this should start creating a buzz and great word of mouth about your business. Who knows, this could even be the start of a food empire, leading to actual restaurants and other amazing culinary adventures. If you are looking to make more money, then starting a low cost business is a great way to go about reaching this goal. 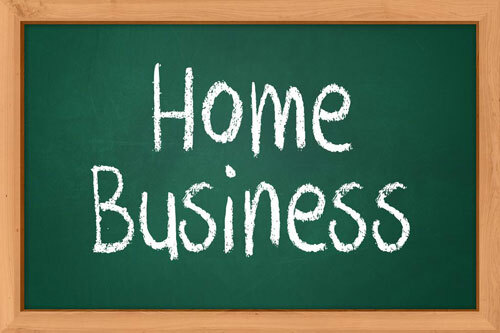 Starting out small and staying home-based in the beginning also helps to limit risk and allows you to begin building a clientele before venturing out to people who don’t know you. There are so many ideas that really the opportunity is only limited to your own personal interests and skill set. What’s Your Home Office Look Like?